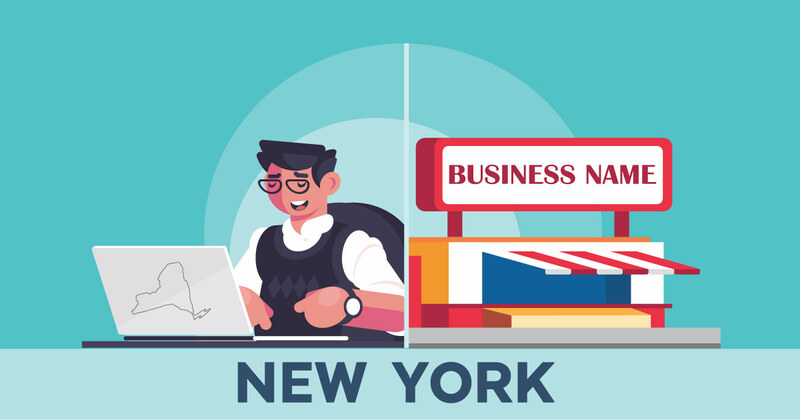 To start the process of filing a DBA in New York, you need to make sure your chosen name isn’t too similar to another name that’s already registered in the state. Take care of this step by doing a quick business entity search through the Dept. of State website. After that, it’s time to get your hands on a Certificate of Assumed Name. You can either download the form online, or obtain it in-person from your local County Clerk’s office. Fill out your Certificate of Assumed Name using black ink, or by typing your entries. If you need some help, comprehensive step-by-step instructions can be found on this page by the NY Division of Corporations, State Records & UCC. Especially if you don’t have legal counsel and aren’t working with a professional DBA filing service, be sure to double-check your application before submitting it. A $25 filing fee, along with any additional county fees, are required upon submitting the form. The state cautions not to use cash payments when submitting by mail! For information on additional fees for things like expedited processing, credit card payments and filing receipts, once again refer to this section of the Department of State’s website. LegalZoom DBA Service Review: Pricing starts at $99 + state fee. Best if you’re looking for the most popular DBA filing service available. CorpNet DBA Service Review: Pricing starts at $108 + state fee. Best if you’re looking for great customer service.